You know, our personal security pricks our conscience, whether we are bound to travel or not. Isn’t that the reason why we have our houses locked, and still, interestingly, go ahead to install CCTVs? So true. Well then, you really have the urge to take the first step towards your thousands of miles in Greece. Stay close, we will let you know about Greece’s safety herein. From the people to the places, what to carry and the fun activities- your curiosity ends here! Risks of contacting any dangerous disease? What of the popularly talked about protests? Which are the safest activities you can indulge in? 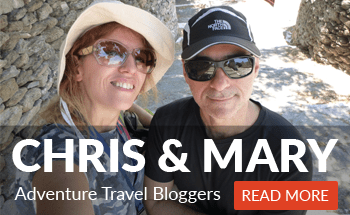 For identification purposes, you will for sure need a passport with a valid visa, but Greece amazingly requires no visas for tourists staying for 90 days or less! It keeps getting sweeter. Greece falls under the Mediterranean climate with two dominating periods of hot dry weather from months of May to September, and cool and moderate weather from November to April. The best time to make the most of Greece is during the hot season where everything nice happens to encompass the Ancient Greek drama, and the Athens and Epidaurus festival. Security starts with the people around you. The Greeks are a caring and hospitable lot! So lay your worries aside, and come ready to mingle, have fun, and learn a few dialects, if you may! But as is common with any societal set up, especially when visiting new areas, you are required to take care of yourself and your belongings, more so in crowded places. Listen, Greece is a safe haven just like where you are, and if you are a local, you probably know better what we mean. There are no cases of deadly diseases hovering herein. Vaccines are probably lingering on your mind too. This is another area of concern that needs addressing when it comes to travelling. No mandatory vaccines required here! The usual routine vaccines that you may need to partake include flu, MMR (measles-mumps-rubella), chickenpox, polio and diphtheria-tetanus-pertussis. Regarding Hepatitis A and B, you can consult with your doctor as to whether it’s really necessary. Rabies vaccine may also be needed as the disease is spread by the bats in Greece. This however largely depends on the type of activities you will indulge in. For instance, indulging in research about bats puts you close to them, and at a risk of getting the bites, or perhaps caving or adventure type of tourism, thereby necessitating the need for the rabies vaccine. Otherwise, just get a medical insurance on the stand by. It might come handy in case of any eventualities, and you need your health restored to a crisp condition, to enable you finish up your adventures. You probably are wondering about the protests that hit the news headlines time and again. Worry not! The protests are never directed towards people. They are peacefully held, and may cause a little bit disruption of activities. They are however most likely to occur each year, around the 17th of November, with the major participants being students, as a commemoration of the students who rose up against being ruled by Military in the year 1973. Well now, should you ever find yourself in the middle of it, stay put, and cuddle yourself in your room or restaurant, before you know it, they will be long gone. While touring Greece, the most common modes of transport used include taxis. Their prices are fair and controlled under European standards, so you will not be taken advantage of and get overcharged. Besides that, the taxis usually have installed navigation systems so all you need to do is say where you want to be driven to- so no chances of getting lost. The taxis are either yellow or grey in color, with an exception of a few random ones. The yellow ones have meters, will charge you twice as much from midnight till around 5 in the morning, and usually operate from airports, bus and train stations. The grey ones mostly operate in the localities. As a rule of thumb, you are not to be overcharged, so should be suspicious of this, the authorities are more than willing to assist, just take the taxi registration and match to a police post near your location. Buses are also available but mostly used for travel within Thessaloniki, Kalamata, Athens and Patra. Otherwise you are safe enough to traverse the small Greek cities on foot. You also have the option of using rail transport which is managed by the railway organization of Greek, thereby making trains reliable enough. There are regular trains that make stop overs in all stations, and that have 2nd class and 1st class fares, with first class being cheaper than even the bus fares. So whatever your budget, you can safely go across the cities. There are also modern intercity type of trains which majorly operate by connecting up the main cities, and don’t do miniature stop overs. These state of the art trains are highly comfy and further provide such luxurious services as on board meals, couchette services and an option to safely travel at night. For the water lovers are not left behind either. They have an option to do ferries across islands, away from the hustle and bustle of mainland activities. You can purpose to do Greece with the help of the readily available and helpful guides, or you can go man solo, of course after purchasing a map to enable you explore areas with ease. Greece is safe either ways! Greece bound? Feel free and prepare for all sorts of adventure, ranging from mountain climbing, hiking, diving, fishing, sight-seeing or visiting the museums, and so much more! All you got to do is practice them to a safe extent, always adhering to the common rules and regulations revolving around them. In your bucket list, one should probably be camping, one of the most thrilling experiences – a sure way to get in touch with nature! Grab yourself a guide of everything you need to carry that will warrant a safe, comfortable and fun stay while there. See this article by Toolazine about things to bring camping and help you create memorable moments in Greece. What’s more, during the day, you can opt to visit other fun places, and retire to your tent when evening comes. Explore more outdoor tips from here. So then, let the journey begin! We hope to see you in Greece soon, perhaps on your first stop at the Ancient Athens!